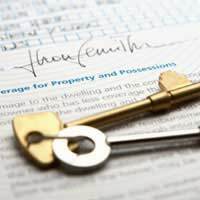 In May 2009, the Government announced plans to introduce a national register for landlords, which has already been nicknamed ‘the good landlord list.’ When the proposals are made law, it means that every private landlord in England will have to register their details. Landlords who are considered ‘unfit’ can then be removed from the register if they refuse to carry out their obligations, such as maintenance and essential repairs - or not protecting tenants' deposits. Why Has the Government Brought in These Measures? Because buy-to-let mortgages have been so easy to get hold of in the last ten years, the private rentals market has expanded and now there are around a million private landlords in England and Wales. Government ministers are worried that there is potential for unscrupulous landlords to exploit their tenants. In Scotland, private landlords already have to join register when they let a property. The scheme was introduced there following a series of multiple occupancy scandals. Although during the first year of the scheme it was estimated that only fifteen per cent of landlords had registered, tougher legislation has been introduced to force compliance - landlords who don’t register can face criminal proceedings or be hit in the pocket – they could end up with a notice served on all of their properties telling their tenants that they don’t have to pay any rent! There are also plans to introduce regulation for private sector letting agents, because they don’t currently need to have any professional credentials. If you’re a landlord letting out a residential property you will have to pay a registration fee that’s expected to be around £50 to register with the national body. The list will include property developers, buy-to-let investors and ‘accidental landlords’ who are only letting out their homes because they can’t sell them at the moment. Each landlord would be given a licence number which they would quote on any documents that were related to the letting. This has the advantage for the authorities of also making it easier for the Inland Revenue to catch tax evaders.The Government also plans to set up better complaints and remedies procedures for tenants, which will include a way for people to register complaints about landlords. The Government is running a consultation on the new proposals which will be active until the end of July 2009. Meanwhile the chairman of the National Landlords Association was well meaning but flawed, adding that the additional requirement for all landlords to disclose the addresses of every property they owned on the register was intrusive and didn’t benefit anyone.